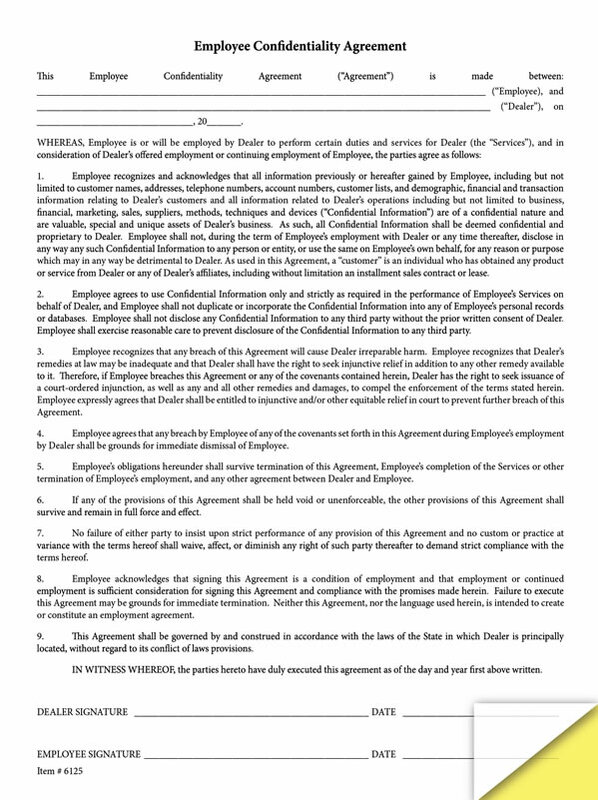 Item Size: 8-1/2" x 11"
Use this Employee Confidentiality Agreement form to clearly spell-out and strongly convey to each employee you hire the importance of your company's confidentiality policy and proprietary information. Designed specifically for automotive dealerships, this form is perfect for small to mid-size dealerships. This form also helps with red-flag rules, which are required by the FTC to help prevent identity theft. Order these low cost forms to protect your business, and inform your employees about the importance of confidentiality.